Journey mapping has grown in popularity in healthcare planning because it can serve as a versatile tool to understand how and what provokes emotions along specific touch points during a visit to a healthcare facility. The purpose of journey mapping is to capture these touch points along with emotions that were felt, whether that is positive or negative, in an experience continuum format. What makes journey mapping so valuable in architecture is that it can be adapted to gathering insight from any user type (patients, visitors, providers, caregivers, staff, etc.) and can be used in real time, such as in focus groups. The power of this tool is that it builds empathy between the users and facilitators. Users feel empowered that people are asking questions and listening to their responses. Likewise, facilitators from the project team feel enlightened to know how design can influence human experiences. The outcome of mapping experiences is that common emotional patterns can be identified. Interpreting maps from multiple users of systems is known as relational-centered design. Let’s look at a case example of a more recent, practice-based application of journey mapping with staff and patients/families. 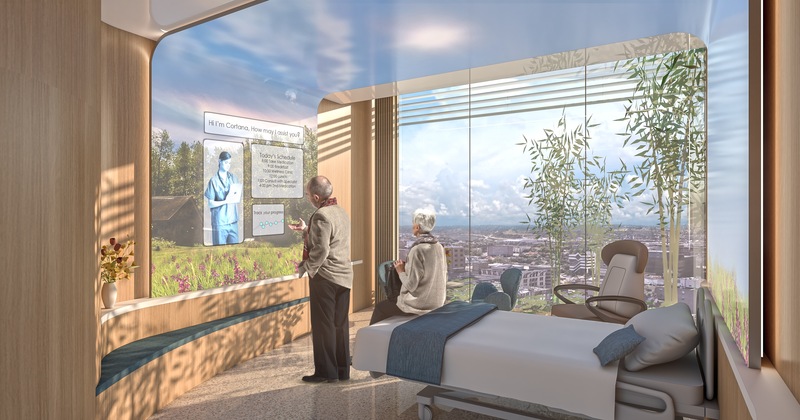 UPMC is building two new bed towers on its Shadyside and Presbyterian campuses. Before going to the drawing boards, leadership at UPMC wanted to learn more about the patient/family experience and staff well-being. Particularly, they wanted to know how people, space, process, and technology influence journeys to, through, and from the campus. To gain this insight, HGA conducted separate staff journey mapping and patient/family journey mapping sessions. For more details on journey mapping, read the full article in Healthcare Design Magazine.